H: 25 in. x W: 28 in. x D: 5 in. 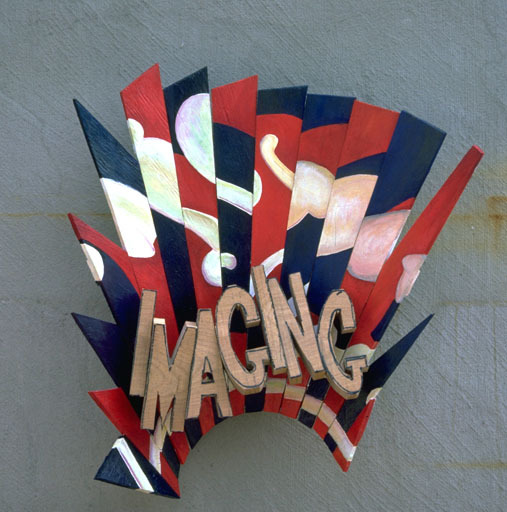 “Imaging” was completed in the Columbia MFA program and combines themes of sequencing with verbal image in sculpture. The piece was widely criticized by the faculty at that time.